InclinART sideboards, a modular system that changes the underlying rules of how a unit is constructed. In fact, its axis becomes variable and the depths of the tops change with it. This results in a new way of perceiving and using spaces: the tops are no longer parallel to the wall but slant towards the onlooker who can enjoy the new perspectives that result from the differing degrees of rotation. The actual space changes, as does the way it is perceived, but storage capacities remain unvaried for an indispensable bonus based on purely rational criteria. 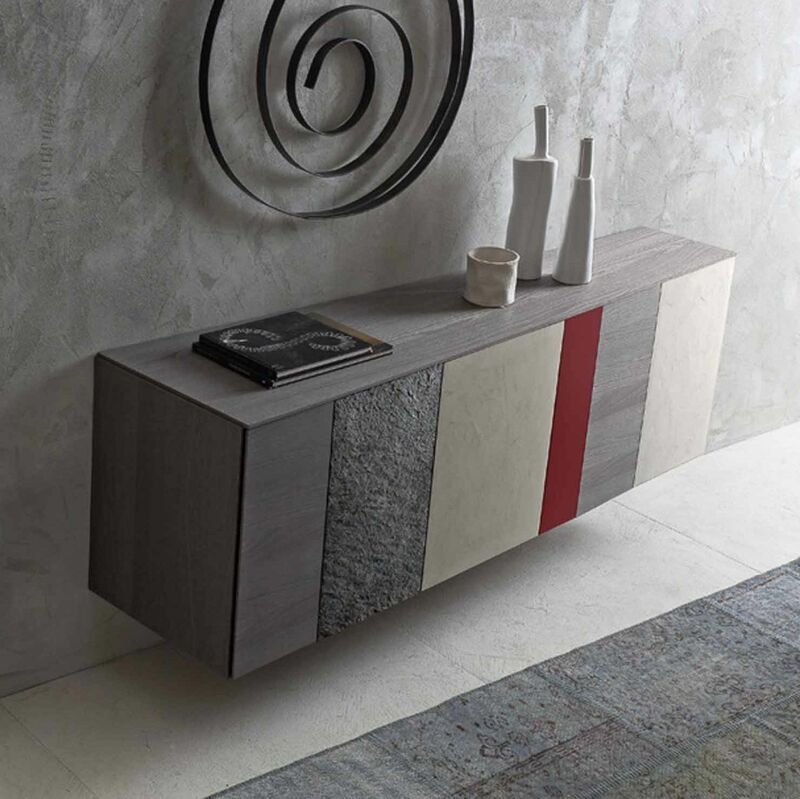 InclinART sideboards is available with concealed feet, with a methacrylate base or wall-hung.